To Support Eternea and its Programs. 1. Already a Supporting Member? If you are already an existing member and would like to donate, provide additional support, or upgrade your membership, click the "Donate" button below. 2. New to Eternea and Interested in Joining? Not interested in becoming a supporting member at this time? By subscribing you will also have access to many of the functions of our "Members Area" (including the Eternea Forums and access to our STE database). When you subscribe you will receive a link (via email) to our Welcome Gifts to you - downloadable articles of interest. You will also receive a newsletter subscription. At any time you can download eligible promotional items by going to the "Member's Area" navigation bar on the left side of any web page and then selecting "Member Promotions / Free Downloads" on the fly-out menu. 3. 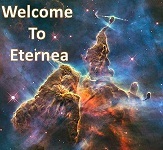 New to Eternea and Interested in Joining and Becoming a Supporting Member of Eternea? You are invited to become a supporting and contributing member of Eternea by making a tax-deductible donation to support our general operations as well as our research, outreach and educational programs. When you register and become a supporting and contributing member of Eternea you are automatically enrolled in our newsletter subscriptions. You will also automatically receive a link (via email) to your Welcome Gifts - two downloadable articles of interest. Supporting (e.g. registered) members have full access to most of the features in our members area (listed below). Supporting members enjoy access to additional features in the "Members Area" of the website. The "members" area contains considerable additional information and capabilities with new features being added on a regular basis. Please refer to the information below for more details. More "members only" features being added on a regular basis!